As a company, H.M. Terry Co has a strong commitment to our natural environment. Of course, the quality and well-being of the shellfish we produce—and by extension, our entire livelihood—is a direct reflection of the well-being of the ecosystem in which our oysters and clams are grown; but, for us it’s more than simple economics. It is impossible to work day-in and day-out on the water and not develop a love for the environment and a deep respect for the ecology of the ecosystems present here. And indeed, the environment where our hatchery produced oysters and clams grow to market size truly is special. Named as one of “The Last Great Places” by the United Nations, the pristine Atlantic waters of Hog Island Bay, VA, have been designated as a United Nations Biosphere Reserve—a designation that we take a lot of pride in! By growing farm-raised oysters and clams, we play a part in keeping our ecosystem clean and healthy. In fact, farm-raised shellfish have been called the most “green” form of seafood production, and a glance at the science shows why. Both oysters and clams play a crucial role in the well-being of the ecosystem for a number of reasons. First, as filter-feeders oysters and clams clean the water column by feeding on algae and nutrients that often exist in excess. Indeed, a single oyster can filter up to 50 gallons of water a day. Second, oyster grounds and clam beds also provide a natural habitat for small marine life to grow and thrive. Third—and very importantly—farm-raised shellfish is a sustainable model of seafood production, meaning that we actually give back more than we take. 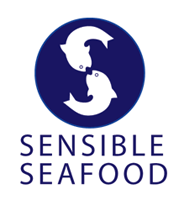 In furthering our environmental commitment, we’ve partnered with Sensible Seafood, an initiative spearheaded by the Virginia Aquarium & Marine Science Center Foundation in partnership with Monterey Bay Aquarium to promote sustainable, sensible seafood choices by consumers. Because the goals of a clean, healthy ecosystem and sustainable seafood production are goals we hold as a company, H.M. Terry Co is proud of our partnership with Sensible Seafood. And as far as our Sewansecott oysters and clams go, we strive to produce a quality, sustainable product that could be called organic if such a designation existed for seafood, but also tastes every bit as good as the story that goes with it. For over 109 years our products have been grown in harmony with nature in a grow-out situation where everything we do in the production of our shellfish is nothing more than nature does on its own. No additives, no supplements, no chemicals—all natural. Try our Sewansecott oysters and clams, and feel good about enjoying them!